The major highlight of today’s monetary policy statement was the directive that banks must now separate the Nostro foreign accounts and local RTGS or Bond with effect from 15 October 2018. This means that unofficially Zimbabwe has two currencies, that’s US dollars and RTGS/Bond. Consequently, banks will allow depositors to hold separate accounts for US Dollars and RTGS or Bond. And yes, what the Reserve Bank of Zimbabwe is saying that what you have in your account right now is a local virtual currency called RTGS/Bond. Before today, US dollars and RTGS or Bond were held in the same regard by banks as they were kept in a single account, a move that was introduced as far as 2009 when Zimbabwe dollarized. This signals that RBZ has finally come into touch with reality by seeing that RTGS is not at par with the US dollar. It seems RBZ was afraid to fully demonetize the bond notes and the same time feared to fully dollarize the economy. So they have tried to strike a balance for the short term with this move. By the way, Techzim has done an insightful report on Zimbabwe’s Payments Systems. You can purchase it below. 1.Bond note is not an export incentive anymore. 2.That they erred to introduce the bond note and then left six other currencies to circulate in shops and market generally, parallel to the bond note, on a US$1: BN 1. If this was not criminal, one wonders what will be! 3.All forex available in banks, nostro or under pillow, is forex and not bond note. At the same time, avail for circulation bond notes equivalent to the forex in circulation/in banks and in nostro. 3.1.Outlaw local circulation of forex, allow authorised dealers to handle forex in exchange for bond notes at US$1: BN 1. 3.2.Write off RTGS balances to stabilize the currency markets and prices in general. Govt must compensate private RTGS balances written off, with US$. Borrowings being sought around the world by Govt will be better used for that purpose. 3.3. All inward US$/ foreign currency must be surrendered to banks/ bureau de changes within 24 hours, in exchange for bond notes at US$1: BN 1. 3.4.Anybody with bond notes cash/ account balance should be able to access US$ when ever they need the forex for use outside the country, and surrender same upon return. 3.5.Importers of unrestricted imports should be allowed to use money they have to import without delay or restrictions that do not boarder around unauthorised imports. For example , if a parent wants his/her child to go to school outside Zim, they should provide bond notes/ bond note account balance and receive USD in nostro immediately without the need to wait. 4.If RBZ can do the above, CONFIDENCE IN THE MONETARY SYSTEM will start to manifest albeit at a slow pace. As confidence continues to build, individuals’ US$s will start flowing into the country. Why are we still going to have the bond? The country in retrospect only came right when the USD was introduced. Unemployment is in the 90%. When unemployment is at an acceptable figure, meaning our Economy is coming together then start introducing a local currency. Now I can see prices shooting up and like it was in 2008 those who worked outside the country earning USD lived like kings and all the rest suffered. This is how you control people, the philosophy since 1980. Freedom has never been allowed in this country. 38 years of being controlled like puppets. 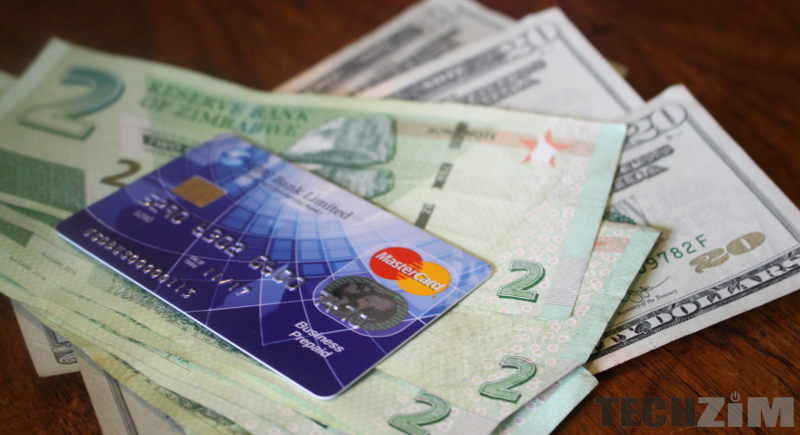 What of our FBC mastercards; are they affected by all this or they are still USD? The reason that Zimbabwe has no US dollars is that the ZANU PF politicians have stolen them. ZANU PF is full of thieves and murderers and should all be in jail including the current president.